RICHLAND, Wash. – After a public request for proposals (RFP) process and a year of discussions with a potential developer, Washington State University Tri-Cities will reopen the process to solicit, build and operate on-campus housing. Last November, the Port of Benton issued a RFP for using port land that yielded a single interested party, Riverwalk Student Housing. Discussions with RiverWalk ceased recently after the parties did not reach an agreement. 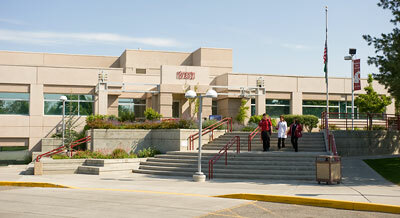 WSU Tri-Cities will open a new process. “We are committed to finding the best possible fit for our campus and the Tri-Cities community,” said John Mancinelli, chief of staff and operations at WSU Tri-Cities. “We appreciate the hard work put in by RiverWalk on their bid and thank them for the opportunity. “With the growth of the campus and student body population, on-campus housing will be a key facet of our core mission to educate and graduate students that are career prepared in their field of choice,” he said. Fall 2015 enrollment increased by 167 students, or more than 13 percent, from last fall. The number of enrolled students, which includes undergraduate, transfer and graduate students, is 1,593.